Write with your finger, a stylus or use the palettes. Notate in your own handwritting using your finger or a stylus (recommended). Powered by MyScript® and the MusicJOT® music engine, your handwriting will be recognized and rendered ready for editing and playback. If you use a stylus, MusicJOT is already set up to take full advantage of the Apple Pencil®. If you are using an Adonit Pixel®, MusicJOT can customize behavior including settings for righties and lefties. 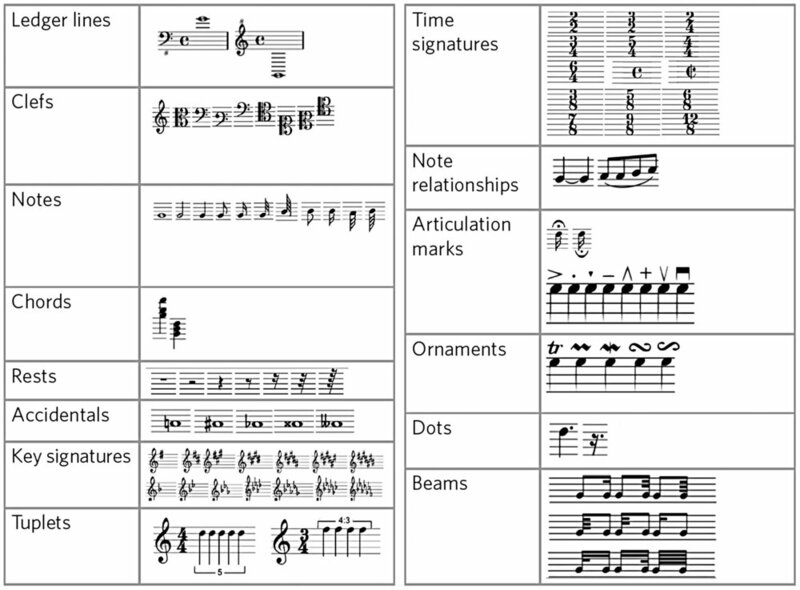 MusicJOT recognizes a large set of standard music notation symbols and converts from your handwriting to digital format. It doesn't matter in what order you notate. Put in four quarters, then sharp the first quarter, then beam the last two to make two eighths. Work as you would with paper and pencil. Scratch out to delete. Add a new meter, clef or key signature. Make a slur or a tie. It's the most natural way to write music on iOS. Audio playback is full featured with controls for overall tempo, volume, looping, and repeats. Counters include measure, beat and seconds. Each staff can be assigned its own sound from 128 different instruments with individual controls for pan, gain, mute and solo. Included is a reverb unit with settings for decay time, early reflections, wet/dry mix and -20 to +20 db gain. Fretboards can be added to new or existing chord text symbols from the chords panel. Control visibility of fretboards on a staff-by-staff basis and choose from a variety of different fretted instruments from the Staff Manager. Select from AI generated alternate versions of thousands of chords from the fretboard popup. MusicJOT shows the best choices sorted by playability and richness of chord realization. Select from a variety of fretted instruments. The Virtual Pointer™ playing a single note. MusicJOT's Virtual Pointer lets you get the precision of a stylus with your finger. Drag the VP around, and the score under the pointer gets magnified. You can tap to select and insert notes and MusicJOT will sound the note you are over and display its name and octave. The Virtual Pointer can be set to sound single notes, whole chords or scrub your entire score. Slide drawer out from the left side for access to layers and stats where you can show/hide various score elements. Very useful in removing clutter when you just want to concentrate on the music. Show/hide notes, text, lyrics, shapes (such as slurs, hairpins, accelerandos, etc. ), expressions, and regions. View your score statistics such as number of measures, staffs, notes, keys, regions, etc. All layers selected except "Regions." The Transformation editor is a powerful tool allowing you to duplicate, delete, rearrange, and apply transformations to user defined regions. Select specific regions to transform. All transformations are non-destructive until you are ready to preview and save. Tools include: diatonic, chromatic and key transpositions, rhythmic alterations, melodic retrograde, inversion, randomize pitches and durations, shuffle, shift in time, selective pitch replacement, chord inversions, and staff swaps. Experiment freely without worry of changing your score until you are ready. Listen to the original, unaltered score side-by-side with your transformed score. An amazing new way to arrange!